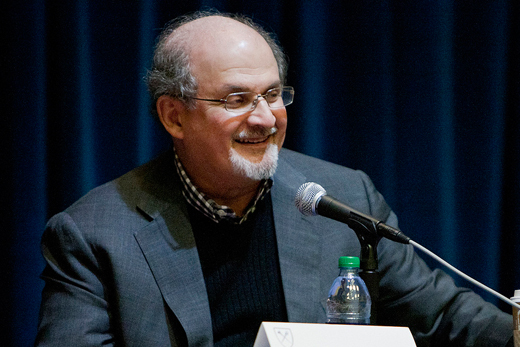 Acclaimed author and University Distinguished Professor Salman Rushdie will discuss emerging Indian writers at the India Summit. Photo by Wilford Harewood. UPDATE Feb. 17: Indian Ambassador to the United States Subrahmanyam Jaishankar has had to withdraw from this event. Below is the updated story. Renowned epidemiologist William Foege, celebrated author Salman Rushdie, and Consul General Ajit Kumar are among the speakers at the fifth annual India Summit Feb. 17-18 at Emory University. The event features panels on disease eradication, converging consumer economies, contemporary literature and post-election alignment, among others. The India Summit, hosted by Emory's Claus M. Halle Institute for Global Learning, is scheduled from 9 a.m. to 5 p.m. Monday, Feb. 17 and from 9:30 a.m. to 5:30 p.m. Tuesday, Feb. 18 at Goizueta Business School, 1300 Clifton Rd NE. Bhaskar Chakravorti, senior associate dean of international business and finance, and executive director of the Center for Emerging Market Enterprises and International Business Center at Tufts University. Visit halleinstitute.emory.edu/india-summit for a full list of speakers and panels. Tickets are $15 for a one-day pass or $25 for a two-day pass. Admission is free for Emory students and employees. All attendees should register for tickets online. Parking is available in the Fishburne Deck, 1672 North Decatur Rd. Launched in 2010, the India Summit—formerly the “Emerging India Summit”—is organized by a committee of distinguished faculty and student representatives across the university. Past summits have showcased the paradigm shift in the world from developed to emerging economies.